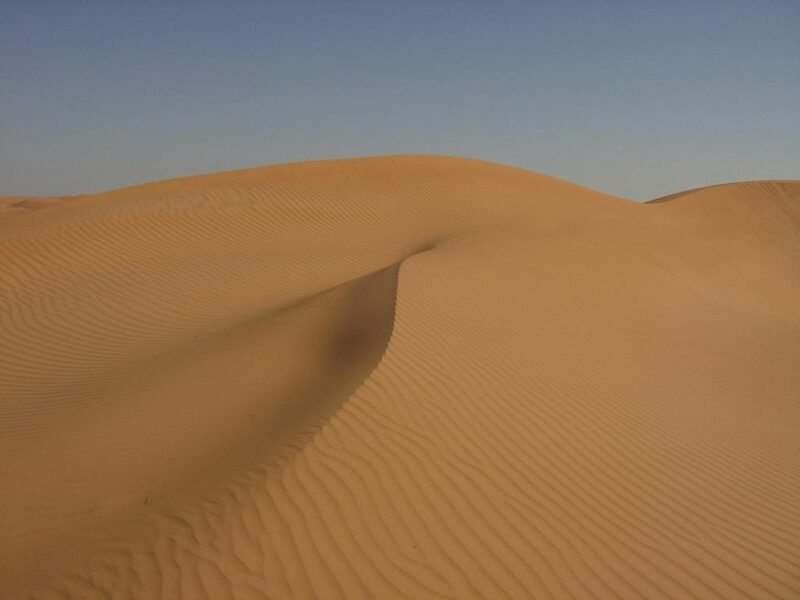 Your guide will come and pick you up at your hotel and go directly to Wahiba sands to do some dune bashing which consists in going up and down the dunes like a roller coaster with your 4×4, for some thrilling fun. Meet a Bedouin family, their hospitality will seduce you, share coffee and dates with them even some words if you had time during the drive to learn some Arabic words. Leave the golden sand dunes behind and continue to Wadi Bani Khalid, one of the largest and most picturesque wadis in Oman where water flows all year round. Nestled deep into the mountains, it is a true oasis. You can cool down in the green pools or walk up the wadi and see more pools with waterfalls.